The race is on to sell your goods in Edo. You must navigate your ships through the port cities of Japan to be the most masterful salesman. 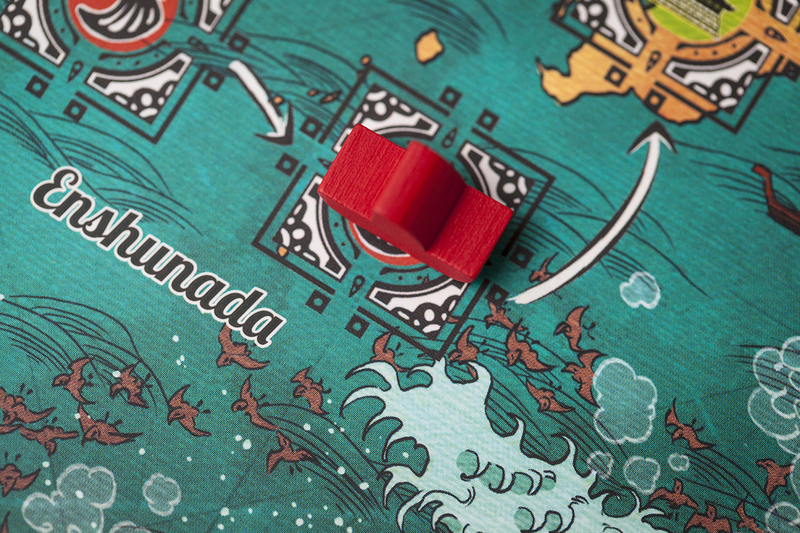 Beware the raging, dangerous currents of the Pacific, though, because if you don’t make it to Edo in time, your goods might just be lost to the tides. 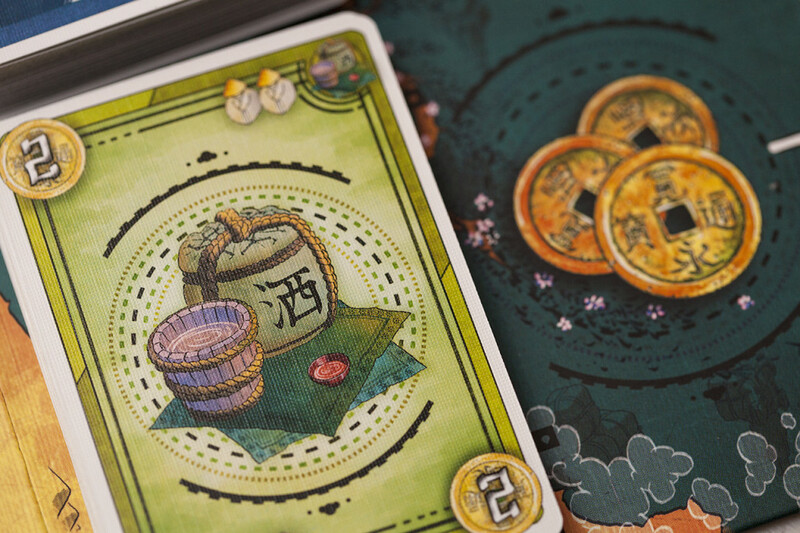 Traders of Osaka is a beautifully crafted hand management and set collection game from designer Susumu Kawasaki. The stunning art, from Peter Gifford, Atha Kanaani, and You Satouchi, is sure to capture your attention as you vie to be the most proficient tradesman in Japan. 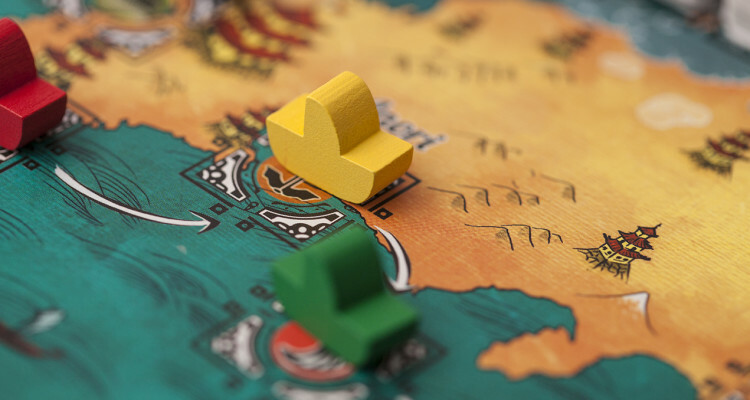 Throughout the game, you will take turns buying, transporting and selling goods along the coast of Japan, competing with your opponents to make the most money for your merchandise. 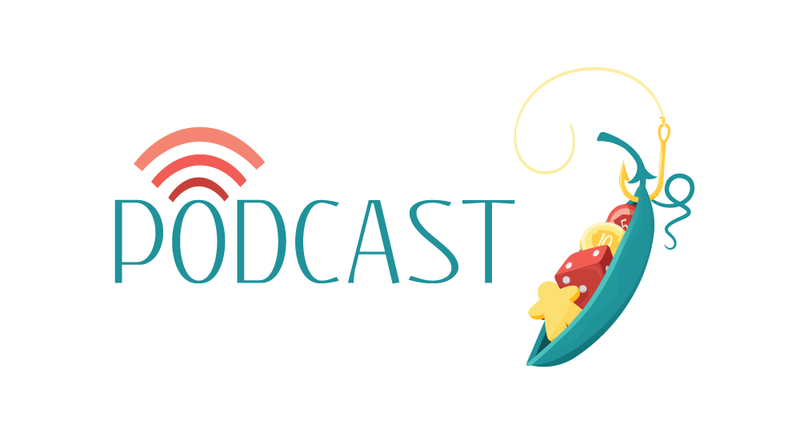 On your turn, you have the choice of three actions: take coins, reserve a card, or buy goods to build your stock of merchandise – all of which revolve around the central deck of multi-use cards. When in your hand, the cards are worth their number value in currency. 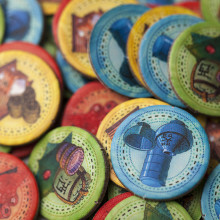 If you choose to take coins on your turn, you will simply take a card from the market—a rotating stock of communal cards—and add it to your hand, thus increasing your buying power. Instead of taking a card, you may reserve one by placing your token on a card either in the market or the farm—a separate row of cards that is used to fill the market. This card may only be taken by the player who has reserved it, either as currency, as previously described, or as merchandise. To purchase cards as merchandise from the market, you spend cards from your hand. You must buy all of the cards in the market when you decide to purchase, with the exception of cards that are reserved by other players. You do not receive change for your transaction, so it’s possible that you may spend more money on the cards in the market than they are actually worth. When the market is purchased, you will move the ships along the map of the Japanese coast. If a single good of a particular color was purchased, the good’s corresponding ship moves one space along the map. 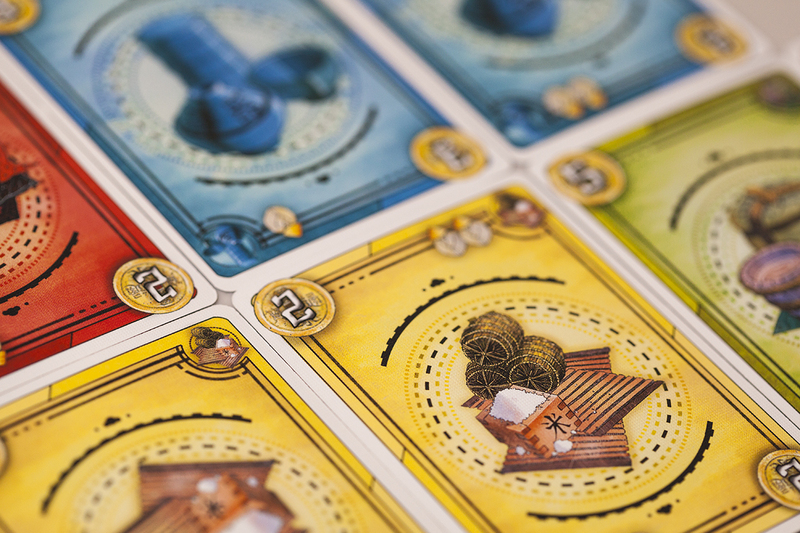 If two or more cards are purchased in a color, the ship moves two spaces. When a ship reaches Edo, you will score your merchandise—I’ll explain that shortly. To refill the market when it is empty, you move cards down from the farm, and then flip out two new cards into the market and three new cards into the farm. The market is also refilled if it is your turn and the only card left in the market has been reserved by another player (meaning that there is nothing in the market that you can take or purchase). Perhaps the most difficult part of Traders of Osaka is its scoring process. It is not difficult once you get the hang of it, but there is some seemingly convoluted math involved. 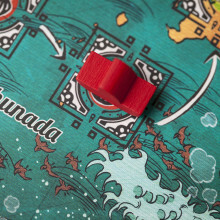 Scoring takes place when a ship reaches Edo, at which point all players look at their cards in the corresponding color. The price of your merchandise is set by the highest value of your cards in that color. 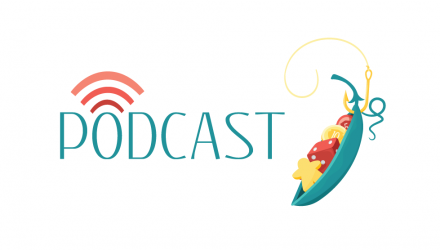 You will subsequently multiply that price by the number of goods (cards) you have in the color and round the product up to the next multiple of five. You keep a card for every five dollars you make on that transaction. As an example, let’s say that the green ship has just reached Edo. You have three green cards in front of you: 2 threes and a two. Your highest value card is three, which you multiple by the number of cards you have: three. Your resulting sale would be nine dollars. Fortunately for you, buyers in Edo can only pay you in increments of five, so your sale is rounded up to ten. 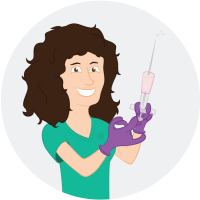 You may subsequently keep one card for each increment of five that you receive—two cards, starting with the lowest value and working your way up! These are your end-game victory points. When a ship reaches Edo for scoring, you must also check to ensure that there are no ships in the Enshunada spaces. These ships are subject to the tumultuous tides and all goods in those colors are in danger. You may insure cards of those colors by playing a two or three valued card of the same color, as they have insurance icons which save your cards moving forward. You may save some of your goods and choose to discard extra, or you may not be able to insure any of your goods, at which point they must all be discarded. Once a good has been insured, you turn it sideways and it is protected from sinking for the remainder of the game (until you hopefully score it). 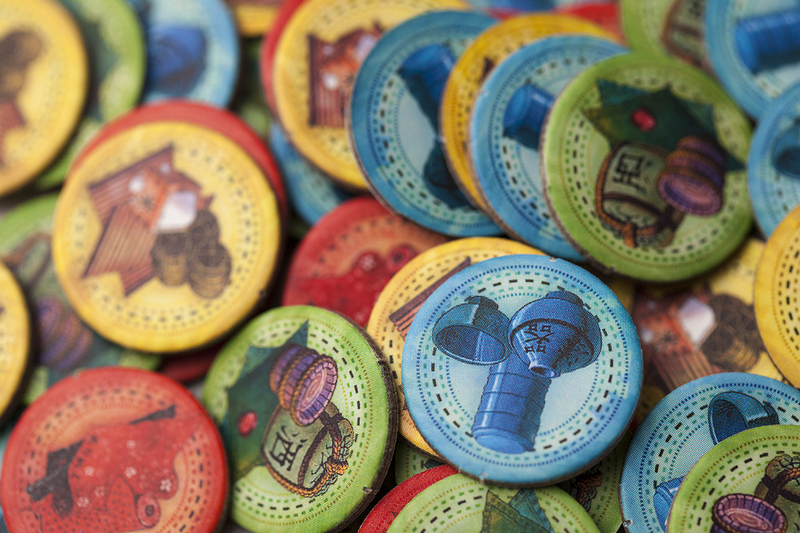 Achievement tokens, which you receive each time you score, add 1 value to the highest value card you have. In the above example then, if you already had a green achievement token, your highest value would be four, multiplied by three to equal 12. This is rounded up to 15, which allows you to take all three of your cards. 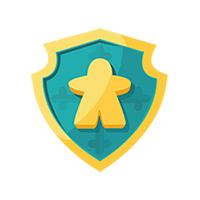 When a player has eight or more achievement tokens, the game ends and you will compare the victory points you obtained through sales. 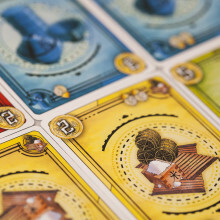 Traders of Osaka is a deceptively complex game. Each action you take is simple—take money, reserve a card, or buy the market—but the implications of each action can be drastic. The location of the ships and the goods for sale in the market are two key factors that consistently require your attention. You must be aware of your opponent’s buying power as the goods available for sale may or may not negatively affect you. Consideration must always be given to which ships will move to ensure that you are in the best possible position to score in unison with your opponents and minimize your merchandise loss to sinking ships. Similarly, you must take ship movement into consideration when taking cards into your hand as currency. The cost and type of goods you are essentially passing to your opponents are of huge significance as a cheaper market can trigger movement and scoring. When buying the market, it’s also important to consider the insurance of your goods and the recovery time involved in replenishing your hand. Do you want to hold onto a card as insurance for that precious blue five card in your hand because that ship is currently in the Enshunada? If so, that’s potentially two or three coins that you don’t have to spend on the market if you are working to buy it. Or you can spend your entire hand on a high-cost market, but that will leave you with few, if any, cards in your hand for currency, meaning you will spend your next few turns collecting cards from the market before you can make another purchase. In the end, the complicated scoring algorithm becomes the least complex element of the game. The game is deep enough to keep you engaged and provide an adequate challenge, but not so difficult or long of a game that it becomes unenjoyable. Your actions have consequences, as in any game, but managing to weather the storm is what this game is all about. Did I mention that thwarting an opponent’s big score is hugely gratifying as you watch their ships sink in the Enshunada? I purchased Traders of Osaka on a whim while I was checking out The Games Keep in West Chester, PA. The box art and game description intrigued me and it sounded like a good two-player game for my wife and me. The scoring mechanism in the game takes some getting used to as it’s slightly confusing the first play or two. As it turns out though, the scoring is actually really interesting and adds even more depth and strategy to what is essentially just a set collection game. I did enjoy my initial time with this game but unfortunately it was not as gripping as we would have liked and has not seen much play lately. 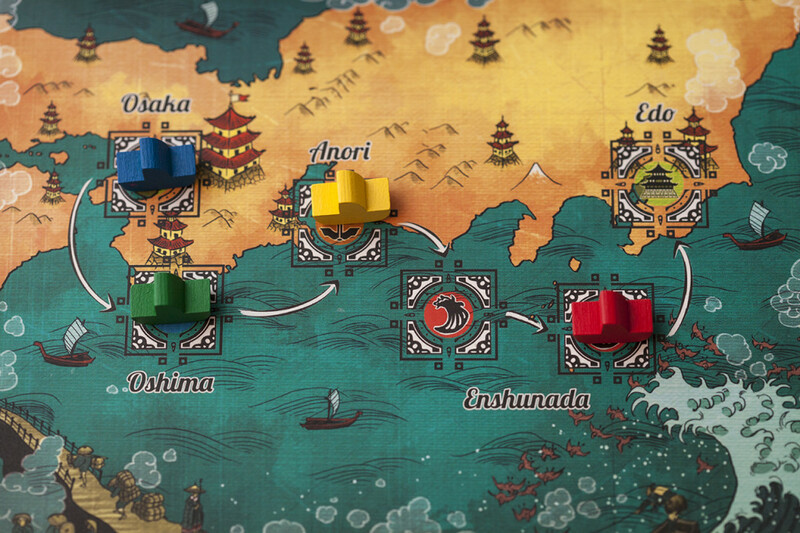 Traders of Osaka is a beautifully produced reworking of its predecessor, Traders of Carthage. But don’t let its charming exterior fool you, this game can be brutal. While mechanically simple (outside of the somewhat convoluted scoring system), this small box hand management game, comprised mainly of just cards with colors and numbers, provides a surprisingly deep experience. Through your limited actions, there are a number of engaging decision points to navigate in your attempt to foil your opponent’s plans and optimize your scoring potential. Overall, I find Traders of Osaka to be a solid tactical card game that I enjoy most at two or three players to keep the game length reasonable. I liked the game, but the wife hated the card drafting mechanic. It will be very hard to get this back on the table. Yea, I hear ya. I had to trade mine away because my wife hated the scoring haha. I got Castles of Burgundy for it so it was a good trade I think.